What a cute cat in the hat. Such a great picture to see. Great photo! Thor is a perfect match! How sweet. 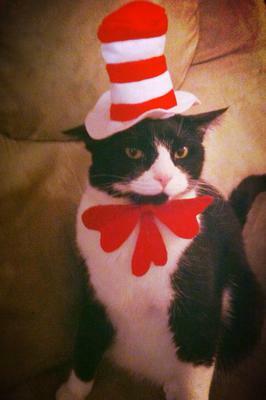 What a good looking cat in the hat. Actually, better than the one on TV.